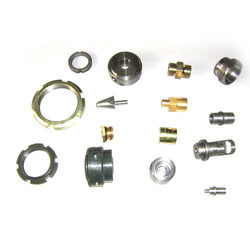 We are a leading Manufacturer of precision turned components from Ahmedabad, India. Our competency lies in offering our clients an excellent quality range of Precision Turned Components. Manufactured using high grade raw material and modern technology, these turned components are in compliance with industry norms. The offered tuned components are highly praised in the market for their light weight and high strength. Furthermore, our quality examiners test these turned components against different quality measures.